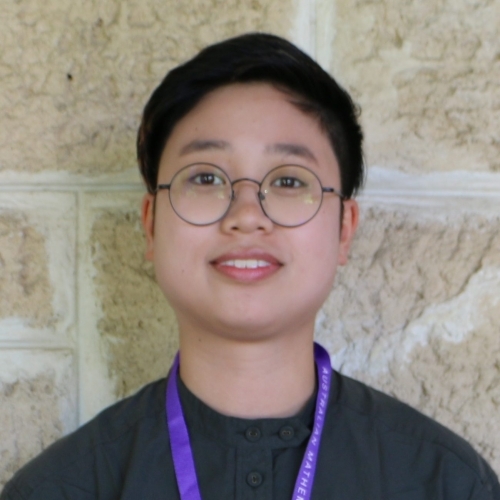 Dilys Lam is a research assistant at the Garvan Institute in Sydney, conducting research into identifying epigenetic biomarkers for diagnostic and prognostic purposes in breast and prostate cancer, under the supervision of Dr Ruth Pidsley and Associate Professor Clare Stirzaker. She completed her undergraduate studies at the University of Melbourne, with an honours research project at the Murdoch Childrens’ Research Institute, investigating epigenetic biomarkers of depression. Dilys is currently interested in pursuing a PhD in epigenetics research, hoping to combine her enjoyment of both wet lab experiments and bioinformatics. Can you give me a quick overview of the type of mathematics you are studying and its potential impacts for the broader community? The research I am involved in applies bioinformatic tools in a translational approach, assessing the clinical utility and value of epigenetic (specifically, methylation) biomarkers in the diagnosis or prognosis of breast and prostate cancers. This primarily involves a multiplex bisulphite amplicon sequencing method, testing the clinical utility of multiple potential biomarkers together in patient samples. You attended AMSI BioInfoSummer, what drew you to this event? What was the most valuable part of AMSI BioInfoSummer for you in terms of furthering your career in mathematical sciences? AMSI BioInfoSummer differs from conventional conferences, in that it offered a unique learning opportunity, which was what drew me to this event. The hands-on workshops were the most valuable as it was highly beneficial to the development and training of my bioinformatics skill set. The opportunity to network with peers and experts from different fields of research was also very valuable. This event provided a great networking opportunity and I have made several new contacts, particularly with fellow grant recipients and young researchers across different fields. In terms of my work, it has motivated me to actively learn more bioinformatics, as well as maths/stats to enhance my skill set. You received a CHOOSEMATHS Grant to assist your attendance at AMSI BioInfoSummer. How important was this in terms of your ability to attend and fully participate in the sessions throughout the week? How did you hear about the grant? I heard about AMSI BioInfoSummer and the CHOOSEMATHS Grant through my supervisor who encouraged me to attend this event. The grant was very important in allowing me to fully participate in this event as it covered flights, accommodation and the registration fees, without which I would not have been able to attend. Staying at one of the colleges meant a great way to meet other grant recipients and to attend the event together. Initiatives such as the CHOOSEMATHS Grants are a great way to encourage and ensure the participation of women in events such as these and to foster networking between women. It opens up more training opportunities, and highlights the achievement of women in mathematics, in an otherwise predominantly male-dominated field. It hasn’t directly influenced my direction in my research, but rather has motivated me to have more of a focus on mathematics learning, which will be highly beneficial in helping to understand and interrogate different types of data that I may encounter in my research. The CHOOSEMATHS Grants are part of a broader program being delivered by AMSI Schools with support from the BHP Foundation to turn the tide on Australia’s maths deficit and strengthen maths education and participation of women across the discipline. What do you see as the big challenges facing maths in Australia, particularly for women? One of the major challenges for women is the embedded perception, from a young age, that mathematics is a “boy’s subject”. There needs to be encouragement early on (primary and high school level) for young women to study and continue studies of mathematics. As Associate Professor Inge Koch mentioned in the CHOOSEMATHS lunch event, a simple change of perspective from “I am not good at maths” to “I am not good at maths YET” is a powerful way to change minds from a young age. Since high school, I have wanted to pursue a career in biological research, but as I’ve progressed, the importance of maths/stats in the analysis of research data is becoming more apparent, which is why this is an area I’d like to study and enhance my knowledge in. Mathematics was compulsory in high school in order to get into a science degree at university, where there was no real encouragement to continue study of mathematics. I think it should be emphasised early on in university of its importance in research. I would like to enhance my knowledge in mathematics and statistics and apply it to the research I am involved in. I am hoping to commence a PhD project in the coming year(s), analysing different types of data. In five years, I hope to be completing said PhD, and moving overseas to continue my career. Did you learn about new career options available to you that you were not aware of prior to attending AMSI BioInfoSummer? Yes – it has broadened my awareness of different career pathways. I was able to have interesting conversations with invited speakers working in industry and government about opportunities outside of academic research, which has given me something to look further into. If a peer asked you if they should attend AMSI BioInfoSummer, how would you describe the conference to them? An eye-opening and motivating learning experience, and an opportunity to network with peers and experts from various disciplines! Any other feedback/comments you would like to provide on the CHOOSEMATHS grant or AMSI BioInfoSummer? Thanks for a great time – I’m very thankful to have been given this opportunity to attend such an event!